Donald Fisher, longtime president and CEO of AMGA, formerly the American Medical Group Association, died Sunday from cancer. He was 71. During his 37 years leading the association, Fisher was an integral voice advocating on the behalf of U.S. multispecialty medical groups. He was an early supporter of value-based reimbursement and population health, supporting data sharing and innovation. AMGA membership increased from 8,000 physicians in 1980 to 175,000 in 2017. 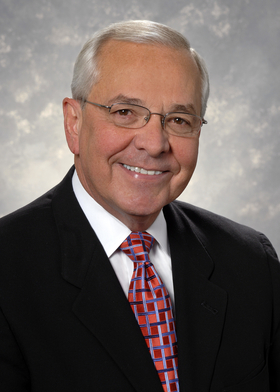 Throughout his tenure, Fisher served in various roles on all AMGA subsidiary organizations. He also helped launch in 2000 AMGA Analytics, a subsidiary in partnership with UnitedHealth Group's Optum unit that offers resources for data analysis and predictive analytics. Fisher was also a member of various other healthcare organizations including the American International Health Alliance, the American Association of Medical Society Executives and the American Society of Association Executives. Before joining AMGA, he served as the first executive director of the American Academy of Physician Assistants in Alexandria, Va.